Liverpool legend Steven Gerrard has revealed the heart-breaking reason why he decided to leave the club he had grown up with. 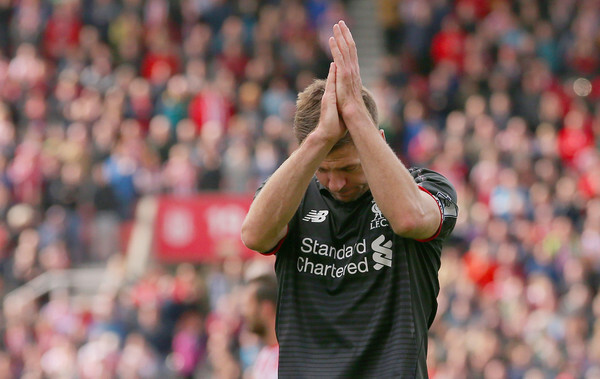 Steven Gerrard of Liverpool applauds the supporters after the Barclays Premier League match between Stoke City and Liverpool at Britannia Stadium on May 24, 2015 in Stoke on Trent, England. The 38-year-old spent the vast majority of his career at Anfield since making his professional debut in 1998. Widely regarded as one of the finest players to have played for the Merseyside club, Gerrard was made Liverpool captain in 2003 by Gérard Houllier and held the armband for 12 years. Under his captaincy, Liverpool have won the Champions League, FA Cup, League Cup and finished as runners-up in the Premier League. In a new documentary, "Make Us Dream", Gerrard tells the reason why ended his 26-year Liverpool association to move to LA Galaxy in 2015. I felt it was time to come out of not just the club but the city, go and have a break from it all. My brain was still fried from what happened. I was trying to find answers and trying to find reasons but there were none. The former Engand skipper is referring to the 2013/14 Premier League season, where Liverpool missed out on a first league title since 1990. A slip by Gerrard gave Chelsea a win before a 3-3 draw against Crystal Palace sealed their fate.